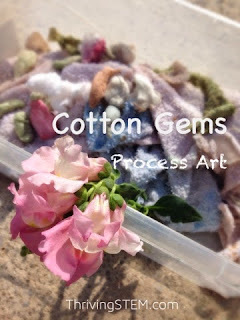 Today, I have a really fun process art project for you to try, perfect for spring or summer. 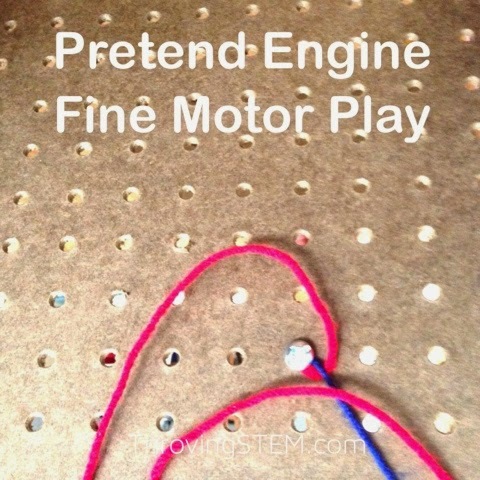 My kids invented this while we were working on some out door math activities, and spent over an hour experimenting. I love it when they get into a process art project like this because their natural love of science takes over and they set about engineering their own creations while learning the properties of matter, all on their own. Here's how the project came about, and how you can try it too. 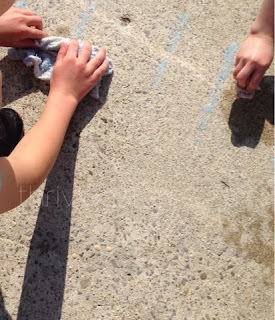 We were working with wet cloths on the cement pavement when my daughter decided it would be fun to wash the chalk we had used the day before. 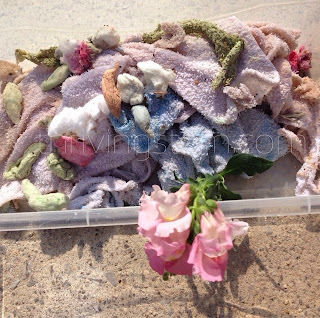 She was delighted to learn that the chalk stained the dingy cloths beautiful colors. Her brother joined in the fun and then asked for some cotton balls to stain. 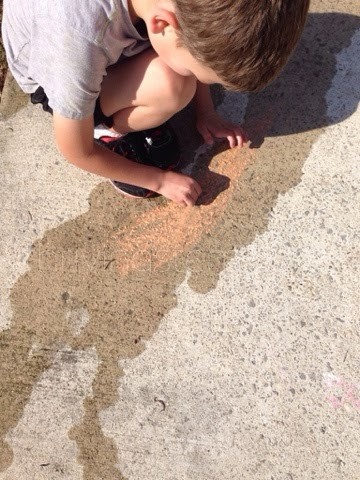 You can start by covering the area with water, then color in the water with the chalk. Or, you can color the area with chalk and cover it with water. 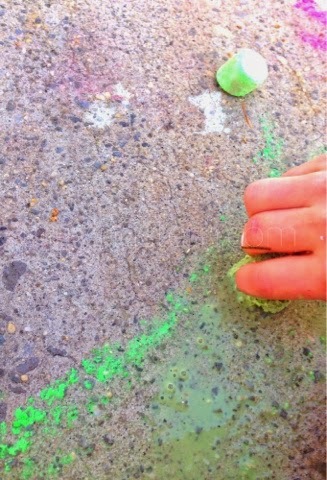 Then, just take the cotton balls and rub them in the wet chalk. 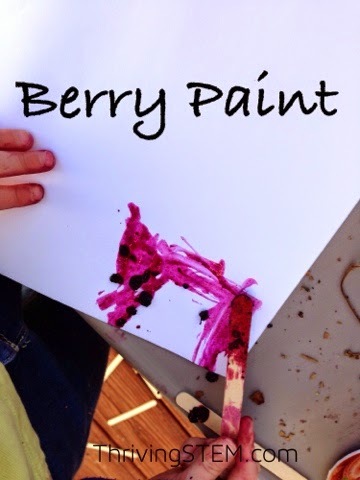 You might enjoy mixing colors to see the result. Set everything out to dry! 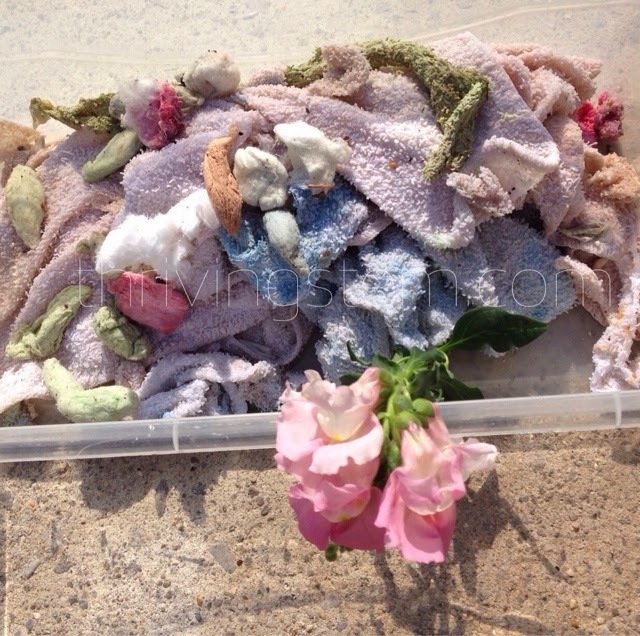 This was our first experience with dying fabric of any kind. Do you have a favorite textile project? 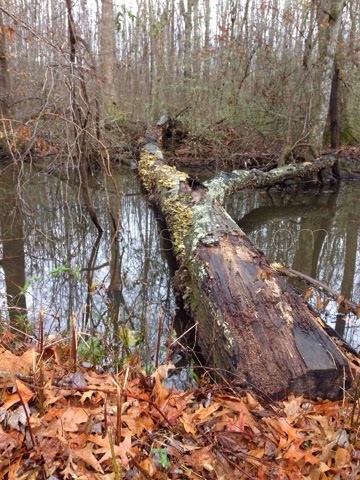 If liked this activity, sign up for my newsletter to make sure you don't miss any of my activities or new curriculum. 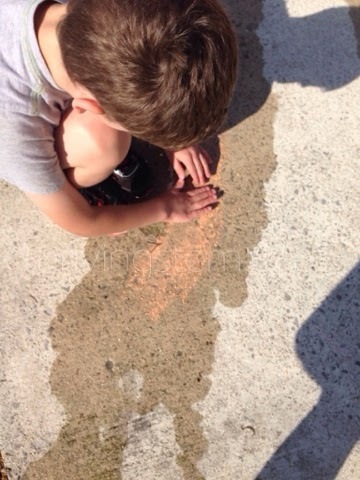 It's my favorite when kids discover something on their own and are totally fascinated by it!